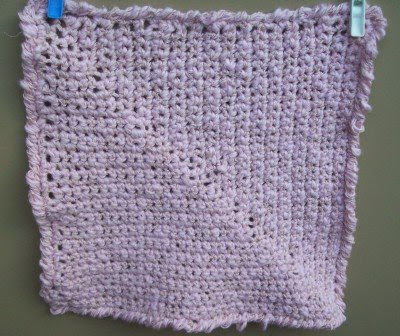 To crochet a face cloth you really need a nice soft cotton. I have used a soft cotton in all of the face cloths below. I buy lot's of left overs from other peoples stashes and I never knew up until recently what I was going to use this cotton stuff for. 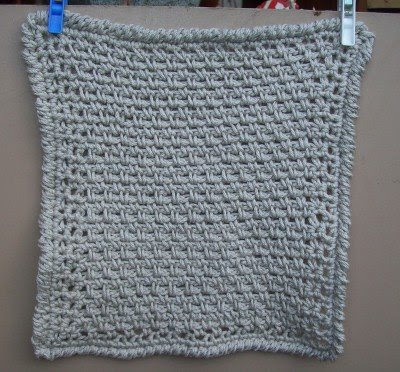 I am learning all of the time about different fibres and what they are better used for, the latest lessons have been about dish cloths and face cloths. 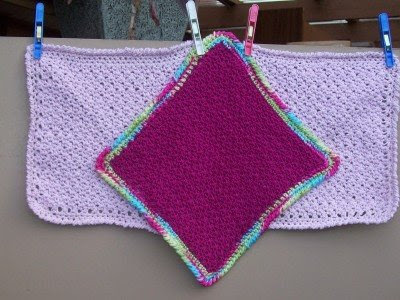 I know quite a bit about the different stitch patterns that are around and I just had to have a little think and do some research to find a st that I would like to use. 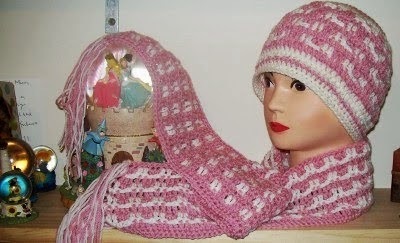 The latest st I have tried is the woven stitch and it is easy on the eye and also a soft grain for the face as a face cloth. 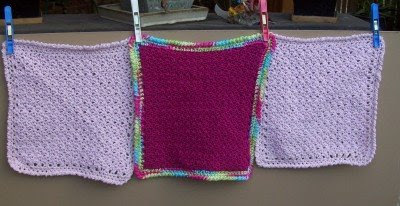 The first 2 face cloths which are made with the woven stitch and an 8 ply cotton, worked up very quick. 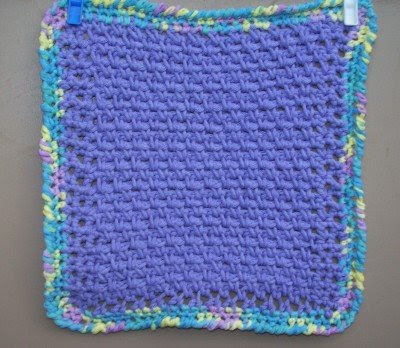 Griddle/ Up and Down stitch face cloth. 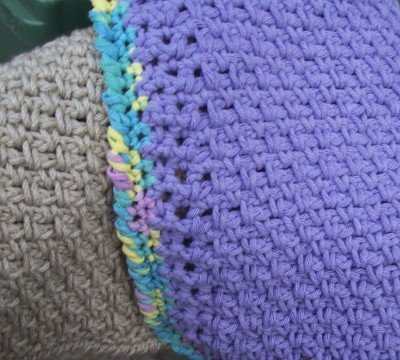 The griddle stitch (up and down st) is an old favourite of mine, but I do prefer the woven stitch pattern in the first 2 face cloths. 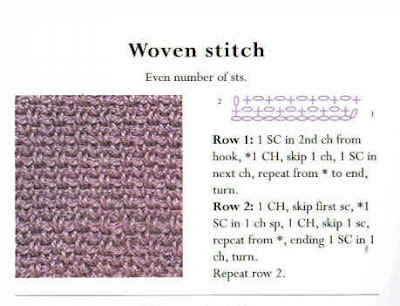 I found a couple of Illustrations on line that may help with the stitch patterns for you.